Insomniac invites you to explore a world of synesthetic rhythm where anything is possible, uncovering the mysteries within the music and within ourselves. Rediscover a sanctuary of sonic unity and awaken your senses every Friday night at Awakening. 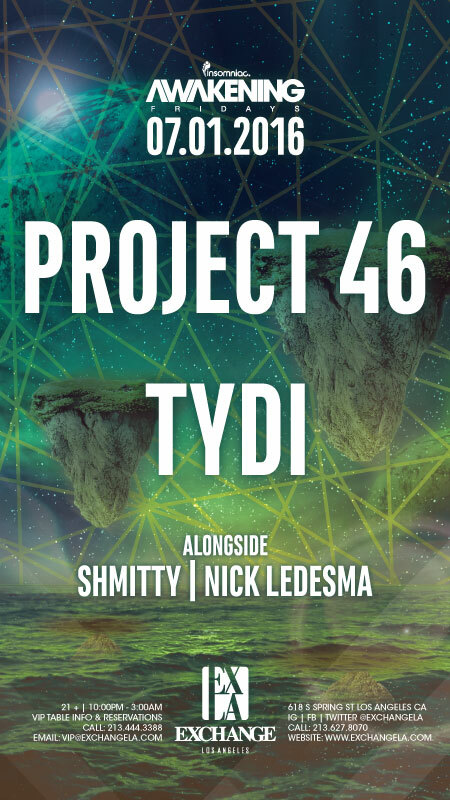 Friday July 1st, 2016, Insomniac presents Awakening featuring Project 46 & TyDi.